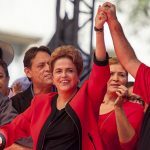 Last year’s legislative coup against the democratically-elected President of Brazil, Dilma Rousseff, was denounced by trade unionists in the country who predicted that the corrupt replacement regime of Michel Temer would launch an attack on the social justice reforms introduced by the Workers’ Party government of Presidents Lula and Dilma. Now the unions are taking their street protests to a new level with a general strike on 28 April, as part of a campaign to ensure that the next Presidential elections in 2018 restore Lula to the Presidency in what would be the fifth consecutive Workers’ Party election victory. It’s that consistent democratic mandate for social justice that motivates the Brazilian business and political elite who ran the country for decades – including a period of military dictatorship – before President Lula first won the presidency in 2003. They know that they cannot secure power by democratic means so they used a corrupt legislature to oust President Dilma, and are now using the judiciary to try to delegitimise former President Lula, and stop him running again. Unions in Brazil point to the all-white, all-male Cabinet which Temer appointed, six of whom have had to resign over the last year as corruption scandals that they have tried to block have nevertheless overwhelmed them (with several more under investigation.) Unions have condemned the attempt to cut state spending and destroy vital social programmes that, under Lula and Dilma, led to massive advances for the poor and a decline in inequality in Brazil. And they have consistently protested at attempts to spread privatisation, casualization and the undermining of collective bargaining which have characterised the first year of the coup. 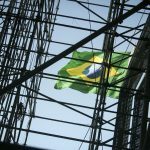 Brazilian unions are holding a general strike later this month focused on ‘reforms’ of labour law, pensions and outsourcing. It builds on protests of women on 8 March and demonstrations and occupations against pension reform and social security cuts on 15 March. 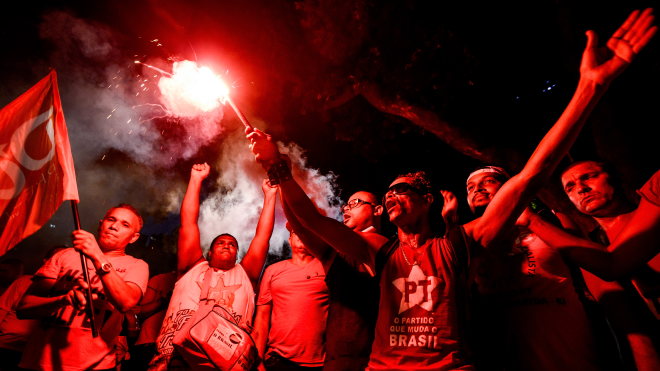 The united trade union movement, led by the CUT, points to the worst recession in Brazil’s recent history which have turned the 2011-2020 years into another lost decade. 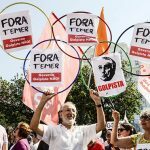 They are also backing a new crowdfunding initiative to pay the legal costs of President Lula as he fights off the attempts to smear and eventually jail him for precisely the corruption that has engulfed the Temer regime, even if there is no evidence Lula benefited personally from any corrupt dealings. The UK launch of the initiative will be held at Congress House next week before an invited audience, with guest speakers from the UK Labour Party and the International Trade Union Confederation’s President, Brazilian Joao Antonio Felicio, as well as members of the London branch of the Workers’ Party (PT) and the British trade union movement. Shahidul Islam Shahid from NGWF, Dhaka, Bangladesh. This is great development towards the resurgence of “Workers’ power” & “Welfare for the workers of the world” the emergence of a significant working class movement in the biggest country of Latin America. The Brazilian development is going to encourage the working class of the world to unite & fight again till victory. The NGWF family from Bangladesh salutes the Brazilian trade unions & the workers. 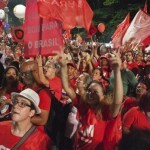 Brazil’s unions rally against illegitimate Government’s privatisation & cuts agenda Why the new Brazilian regime is illegitimate Brazil teeters on the brink of counter-revolution TUC backs Brazilian unions: no to the coup!